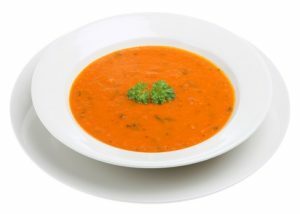 Researchers at the University of Sussex in the United Kingdom, have demonstrated that umami seasoning – a combination of monosodium glutamate (MSG) and inosine 5′ monophosphate (IMP) – not only made their test dish (soup) more tasty and appetizing but also increased satiety so that energy intake at the following meal was reduced. Monosodium glutamate (MSG) has been used, as culinary seasoning, for more than a century to increase the savory umami taste of food. It is known to act synergistically with IMP to further increase umami deliciousness. Recipes high in umami taste are generally rated as tastier and more pleasant than their lower salt or ‘no MSG’ counterparts. The authors of this ground-breaking study state in their conclusions “To our knowledge, this is the first study to report a biphasic action of MSG/IMP and implies that increased liking at one eating occasion can lead to better regulation at the next eating occasion”. For more information about MSG and Umami, click here. Try making some savory recipes with umami seasoning.